Send your blessings for his special day with a gift that will be cherished for years to come. A First Communion is a very special event in a child's life. Place this personalized cross on a shelf or a dresser to commemorate the milestone. 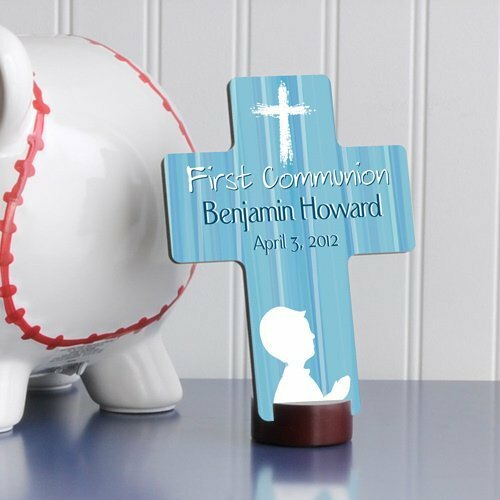 We personalized this precious cross with his name and the date of the first communion. Crafted from wood composite, cross measures 6 3/4" x 5 1/8" x 1/4". Stand measures 1 3/4" in diameter.